What is the simplest way to change up a plain cake recipe? The frosting! 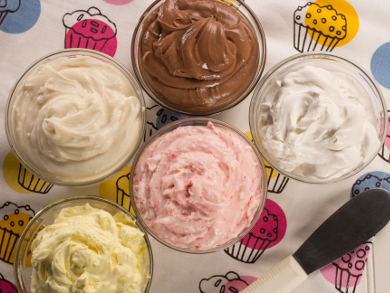 Making homemade frosting is easy and only requires a few ingredients. We're showing you how to make an easy Buttercream Frosting, and by using this method you'll be able to make any kind of frosting you'd like. You'll see how easy it is to make Chocolate Buttercream Frosting, Peppermint Frosting, Almond Frosting, you name it! Once you know how to make frosting you'll be able to create all kinds of cake combinations. So bring out your mixer and let's get to mixin'. Check out our video and tips on how to make frosting. Once you learn how easy it is, in no time at all, you'll be sayin', "OOH, IT'S SO GOOD! !®"
1. Beat butter until creamy. 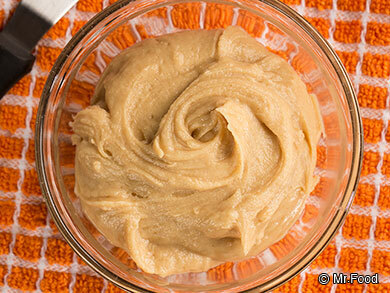 Using a hand or standing mixer, beat softened butter until creamy. This will take about 30 seconds. 2. Slowly mix in the remaining ingredients. First lower the mixing speed to add in the powdered sugar. Then slowly increase mixing speed as you add the milk, flavoring, and salt. 3. Increase mixing speed and mix until the frosting reaches desired consistency. Note: To turn this into a chocolate buttercream slowly mix in 1/2 cup of cocoa powder. Slowly increase the mixing speed as the cocoa becomes more incorporated. Click here to get the recipe for Buttercream Frosting! Now that you know how easy it is to make frosting, why not try your hand at some other homemade frosting recipes! They're sure to spruce up any cake! 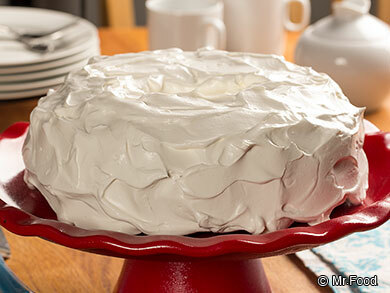 Click here for some great cake recipes that will taste so yummy with your homemade frosting! Click here for even more frosting recipes!